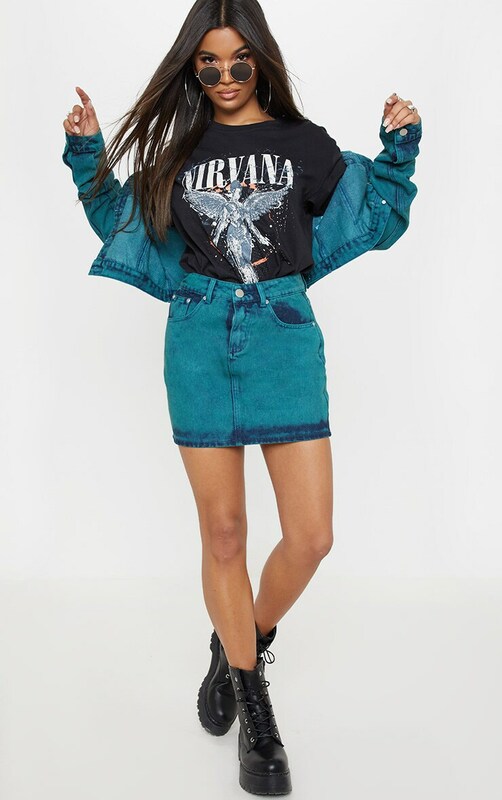 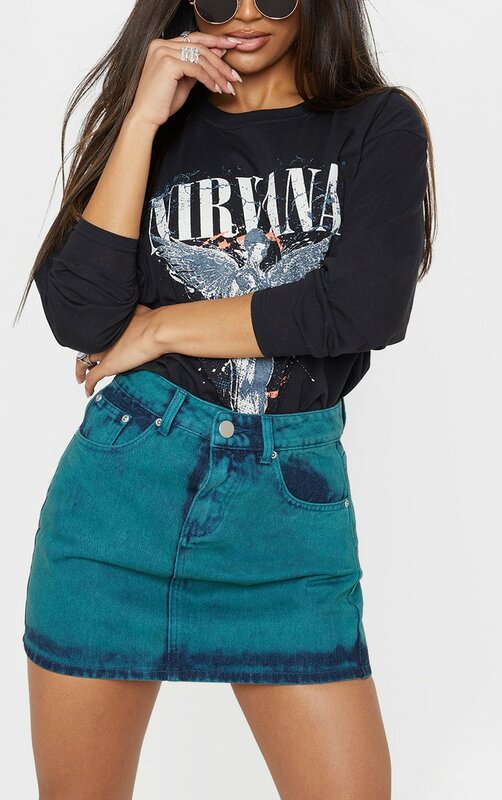 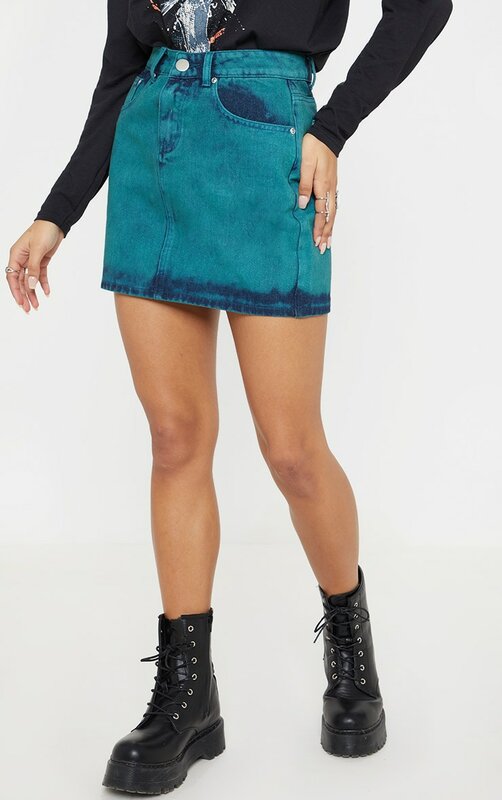 Update your denim collection with this must-have denim skirt. 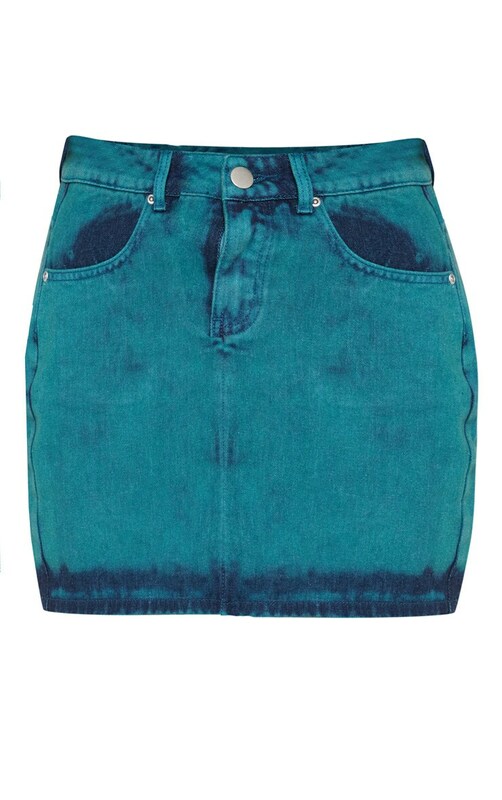 Featuring an acid green material with pocket detailing and a button fastening. 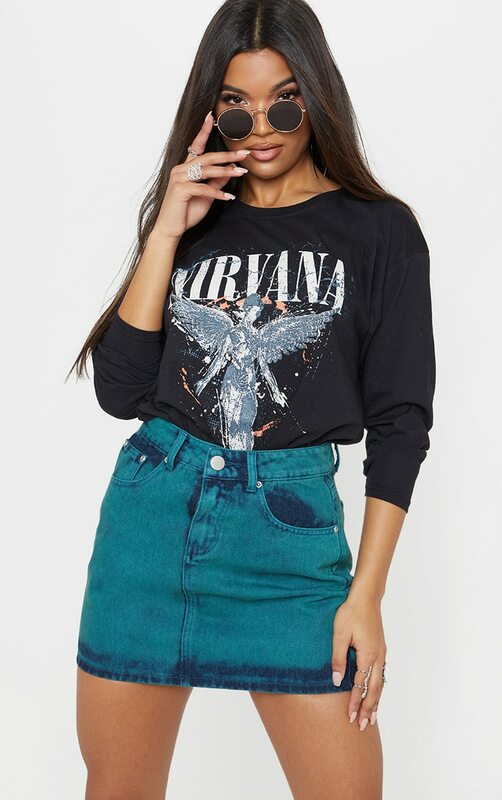 Team this with a slogan tee and ankle boots for an off-duty look we are loving.